The Ambler Area YMCA is a nonprofit that specializes in strengthening communities through youth development, healthy living and social responsibility. 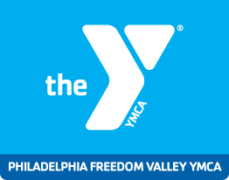 Ambler Area YMCA offers a wide range of programs for children and teens including swim lessons, youth sports, gymnastics, karate, fitness, child care and day camps. For adults and seniors, the Y has personal training, a variety of group exercise classes, yoga, Zumba, water aerobics, wellness orientations and free babysitting services.